Around 200 visiting professors come to IHES every year to profit from its exceptional working environment and the possibility to interact with some of the most brilliant minds in their fields. The IHES general visiting programme allows a group of selected candidates to visit the Institute during a limited period of time, proposed by the candidate and to be approved by the Scientific Council. Visiting professors at IHES are offered a per diem, office space, free accomodation in the Institute’s residence and free lunch at the Institute’s cafeteria on week days. Applications for the general visiting programme are assessed twice a year by the Institute’s Scientific Council. The next selection will take place in December 2018. During the last few years the Institute has importantly intensified its post-doctoral programmes with the aim of giving more space and opportunities to young researchers. Successful candidates are selected every year in December by the Scientific Council and IHES is currently accepting post-doctoral applications. Suitable candidates can join specific research projects funded by ERC grants supporting some of the Institute’s permanent members (H. Duminil-Copin, F. Kassel, M. Kontsevitch, V. Pestun). 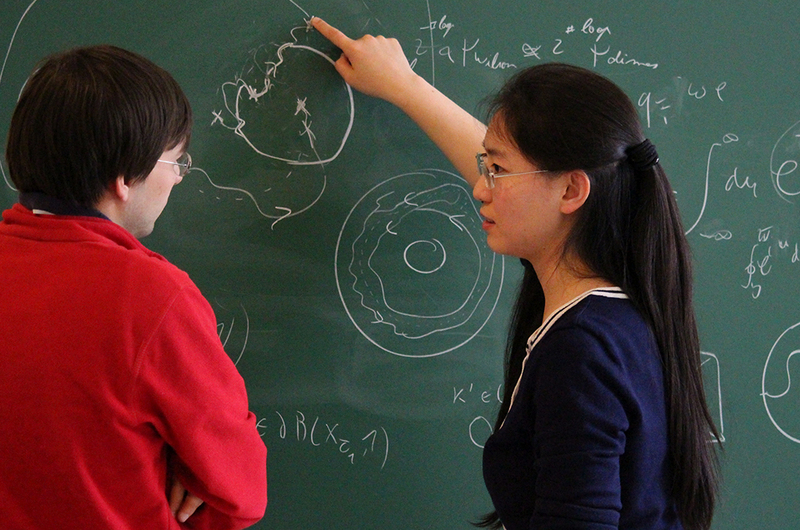 General post-doctoral fellowships for one or two years are also offered to young researchers in mathematics and theoretical physics.